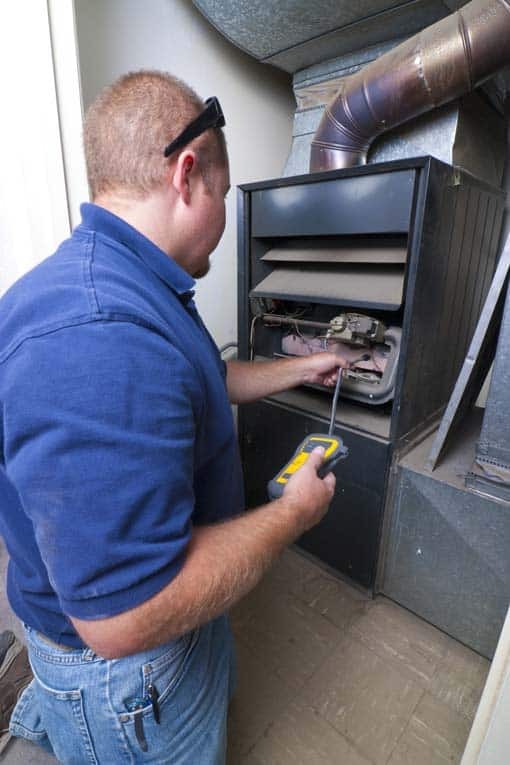 An aging furnace should be inspected to ensure that it is safe to operate. Expert advice on how to evaluate your current heating system, and how to shop for a new furnace. Is it time to buy a new furnace? Your answer may be a resounding, “Yes!” Or you may not be sure. If your furnace has stopped working entirely and you know for a fact that the cause isn’t something simple like a thermostat setting or a circuit breaker that has flipped, now may be the time. But, often, the problem may not be so apparent—it may be more an issue of aging equipment. Don’t wait until your furnace fails to start shopping for a new one. Your furnace won’t stop working in the middle of summer, when it’s never running. It’s far more likely that it will fail when it’s under the heavy strain of winter cold—just when you need it the most. Sure, furnaces last a long time, typically from 16 to 20 years. But they don’t work forever. As they age, they may make noises and show signs of wear and tear, but when they stop working, the result usually means your household is going to get very cold. And it can easily take longer than a week to get a new unit installed. All of this is to say that you need to be proactive if you have an aging furnace. Get it inspected by a qualified furnace technician. 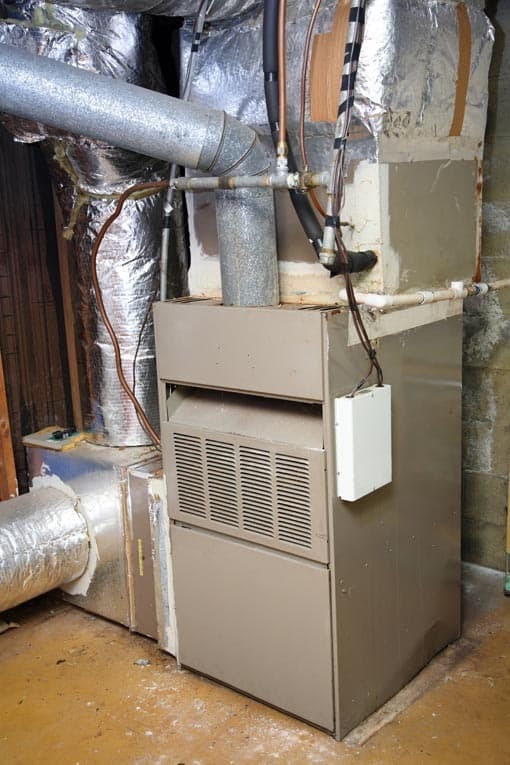 The possibility that your old furnace may fail isn’t the only reason to replace your present system. Older furnaces are very inefficient at converting energy to heat. As discussed in the article, Buying a High-Efficiency Furnace, you can save 20% or more of every energy dollar by converting to a high-efficiency furnace. 1) Look for a pilot light. High-efficiency furnaces utilize electronic ignition, and have been around for more than 20 years. If your furnace has a pilot light, it’s probably over the hill. 2) Look up the make and model on the Internet. You can usually determine its age by searching the make and model on Google, Yahoo, or Bing. Like a car, a furnace can rack up thousands of hours over the years. The more it runs, the more its parts wear out. If, for no other reason, the cost of maintaining your furnace becomes too time consuming and expensive, it’s time to trade it in for a new one. And, the older a furnace gets, the harder it is to find replacement parts—a reality that increases the cost and wait time for repairs. Sometimes it’s difficult to tell whether a furnace is over-the-hill. 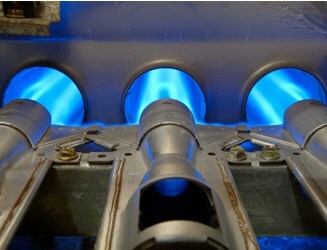 If it has a pilot light, it’s probably time for a new one. Far worse is a furnace that has a deteriorating heat exchanger. After many years of use, a furnace can develop cracks in its heat exchanger—a seriously dangerous problem. A leaky heat exchanger can allow toxic carbon monoxide into your home, tainting the air that your family breathes. Signs of carbon monoxide poisoning include headaches, nausea, disorientation, burning eyes, and flu-like symptoms. If you experience these types of symptoms, ventilate your home, and install a carbon monoxide detector near the furnace. 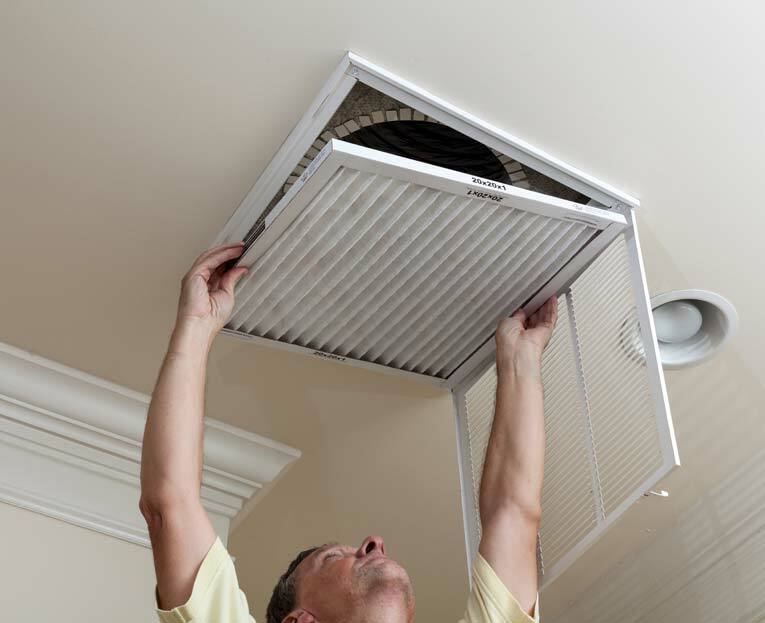 If it detects elevated carbon monoxide levels, call an HVAC contractor and, if necessary, replace your furnace. 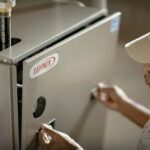 If you decide it is time to update your heating equipment, your next step is to find a dealer and zero-in on the particular furnace to buy. 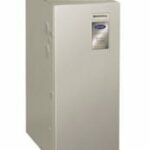 Choosing the right furnace dealer is very important. Sure, you want a reputable brand of furnace. But most major manufacturers of heating equipment—Bryant, Carrier, Day & Night, Lennox and similar top-rated companies—make high quality products. More important is the company that installs your system. If something goes wrong with your furnace, you’ll be contacting the dealer for support, not the manufacturer. Of course, a solid warranty is imperative. How do you find a dealer? A good place to start is the free online service, Home Advisor. They will put you in touch with local, pre-approved contractors who will be happy to give you a free estimate. Here is a link: Local Heating Contractors. Businesses that advertise in the Yellow Pages or the local newspapers are not necessarily the best—a business’s advertising budget usually has very little to do with its competence. Referrals from neighbors, friends, or family, on the other hand, can be very helpful. If someone you know was treated fairly and had a good overall experience, the chances are better that you’ll get the same treatment. Ideally, you should settle on three potential dealers, and then determine which of these is right for the job, based on interviews at your home, their bids, and their references. To check out a business you’re considering, you can contact the Better Business Bureau or contact the Air Conditioning Contractors of America at www.acca.org. Pick a dealer who has been in business for a while. Furnace companies tend to be short-lived. Those that have been in business for more than 5 years have built a reputation in their communities and must work to maintain their businesses. These are the companies that are most likely to still be in business when your furnace warranty is nearing the end of its term. And they are the businesses that are most likely to stand behind their work. When you interview potential dealers, get answers to a number of questions. For starters, be sure the business operates legitimately. They should be licensed to install equipment in your community, and their policy should be to pull permits for all work that requires them. When a permit is filed with the local building department, an inspector will make sure all work has been done to code. Ask about the company’s service policies and hours. If your furnace goes out in the middle of the night during a blizzard, you’re going to want to be able to get service. You’ll also want to have a clear idea of how soon they would be installing your equipment. When a representative comes to your home, pay attention to what they do. If they focus primarily on getting you to sign a contract, be wary. They should interview you about your wants and needs, and they should be work up some basic heating calculations based on your home’s square footage, insulation, windows, etc. This can take an hour or more. They should discuss the kind of system you have in mind, and offer you advice about other upgrades and improvements you may want to consider. They should give you an idea of how long your installation would take, and when it would begin, as well as the identity and qualifications of the person who would be working in your home. Based upon your interviews, choose a dealer and sign an agreement. The agreement should detail the model numbers and specifications of all the major equipment being installed, as well as the final price and the terms of payment. The final payment should not be made until after inspection and approval. In addition, the agreement should include the terms of the warranty. Be aware that many established companies offer financing that is available through the manufacturers they distribute. In some cases, these loan programs may be better than offerings from banks—so they’re worth considering.